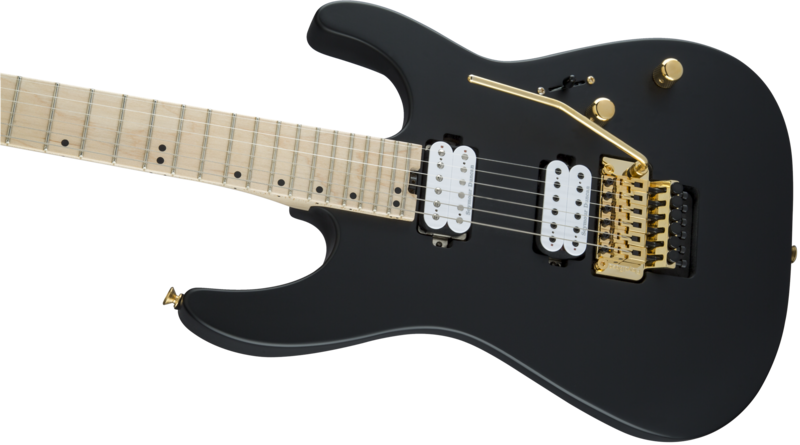 A powerful tone machine built for the harder side of rock, the new Charvel Pro-Mod DK24 HH FR M comes supercharged with premium features. 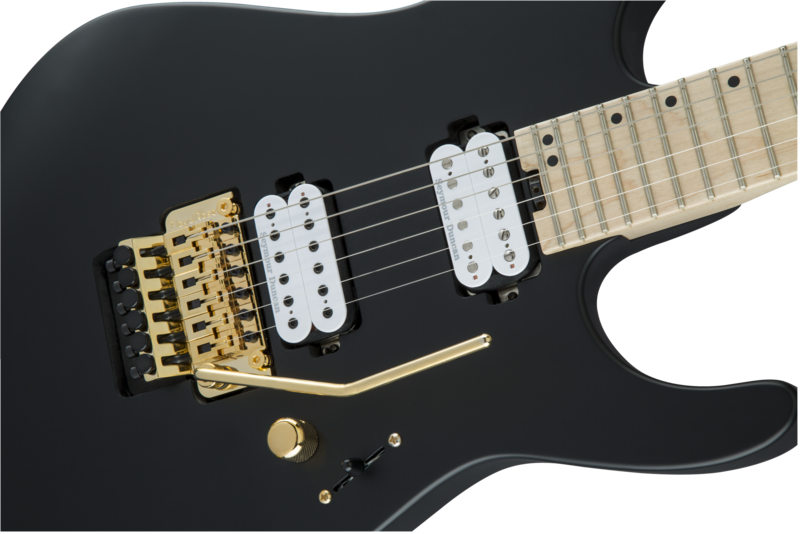 The sleekly sculpted Dinky™ body is constructed from alder and has a bolt-on two-piece maple neck with graphite reinforcement for rock-solid stability and a hand-rubbed urethane gel back finish for sublime and speedy playability. 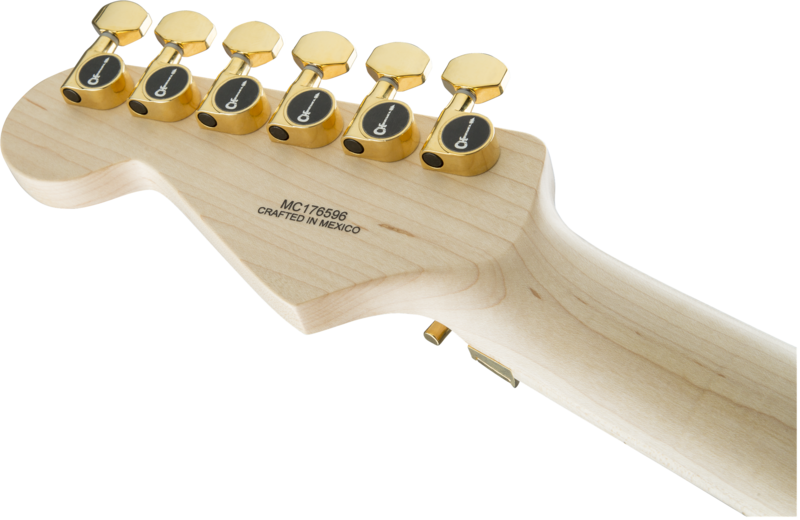 The 12”-16” compound radius maple fingerboard hosts 24 jumbo frets and offset dot inlays, and a heel-mounted spoke wheel for quick and easy truss rod tweaks. 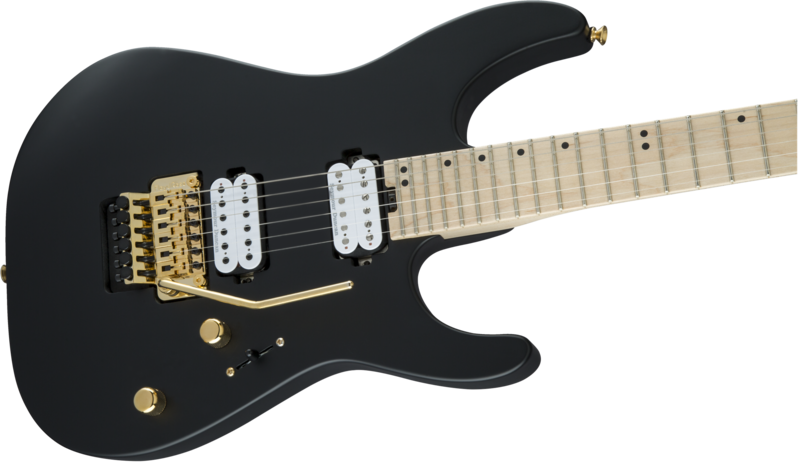 Designed with time-honored style, this guitar comes in Snow White or Satin Black capped off with white pickup bobbins and gold hardware.